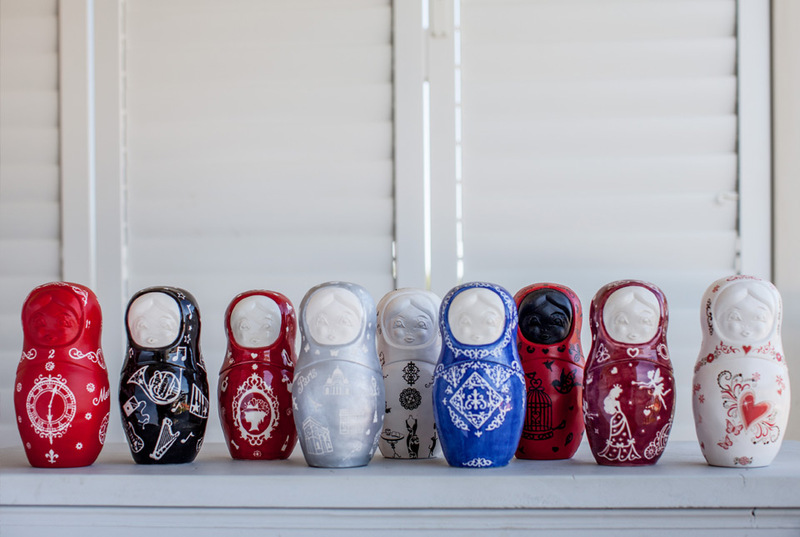 This colorful range of exquisitely hand painted Russian Dolls are available in all sorts of shapes and sizes. 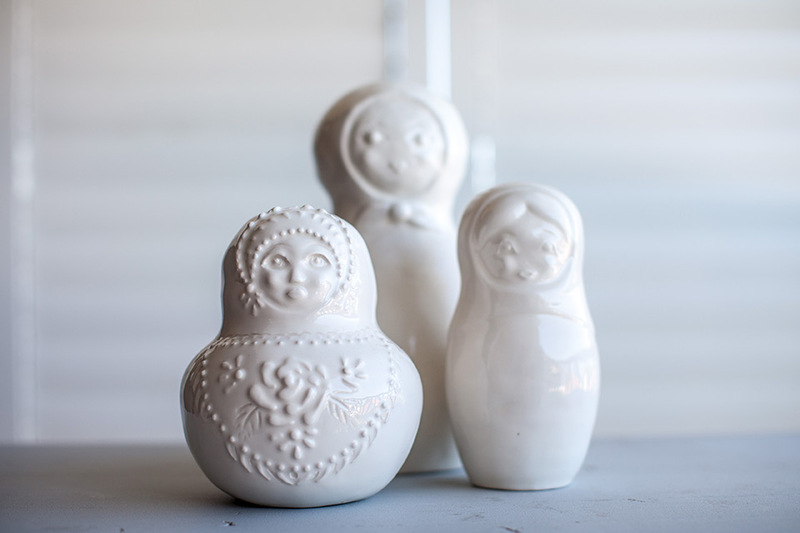 They don’t stack, like their distant wooden cousins, but they bring a sense of fun to the traditional form of fine ceramic work. Colour: Black, Bronze, Grey, White, Cream Clear glaze.